Betty Broadbent was born on November 1, 1909, in Zellwood, Florida as Sue Lillian Brown. She was raised in the Philadelphia, PA area. 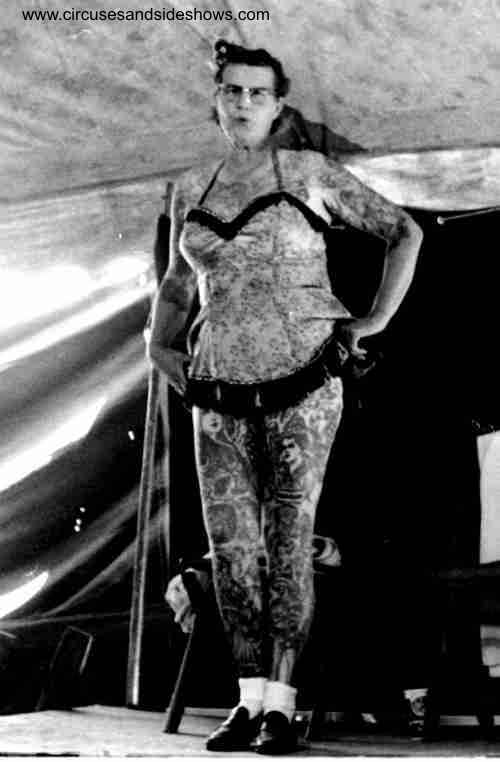 Betty Broadbent was no-doubt the best known of all the circus tattoo ladies. Betty performed with major circuses in the United States, Canada Australia and New Zealand. On August 05,1981 she became the first person inducted into San Francisco's Tattoo Hall of Fame. At age fourteen Betty was working as a nanny in Atlantic City, NJ. She loved to wander the boardwalk, and while doing so met well known tattoo artist Jack Redcloud and became fascinated with the art form. At age sixteen Broadbent began her on collection of bodyart. 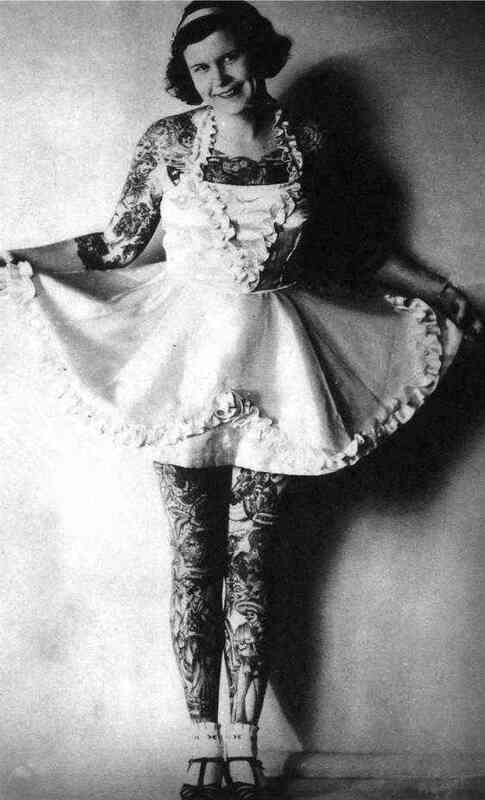 Betty was tattooed by some of the most famous tattooists of the day including Charlie Wagner, Joe Van Hart, Tony Rhineager and Red Gibbons. Although Betty's body was tattooed from shoulders to ankle the only tattoo that was visible when she was in street clothing was a small bird on the palm of her right hand, (a bird in hand). Winford Emory Brewer, the circus' mechanic. Betty and Brewer were married in March of 1969. Betty Broadbent passes away at age 73 on March 28, 1983 in Tampa Florida.